Gilman sophomore Greg Diette broke a 1-1 second half tie, Monday at Blakefield, with a game-winning goal, lifting No. 11 Gilman to a 2-1 MIAA A Conference soccer victory over No. 14 Loyola, keeping the Greyhounds on the rise in the league standings. The goal was setup by a long throw-in, that the Dons had trouble clearing, sending the ball to Diette, who one-timed his shot far post. Freshman Teddy Ndje gave Gilman a 1-0 lead, 15 minutes into the second half, on a penalty kick. Nick Battaglia countered, five minutes later, with a penalty kick goal for the Dons, tying the contest at 1-1. Gilman (7-3-3 overall) improved to 5-3-2 in the conference, where it sits in fifth place with 17 points. Loyola is now 4-8 (12 points), overall and in the league. 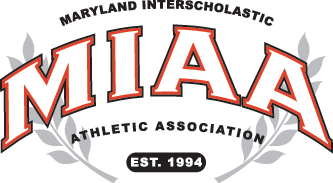 The Dons are in sixth-place as they prepare to visit first place Calvert Hall on Friday.